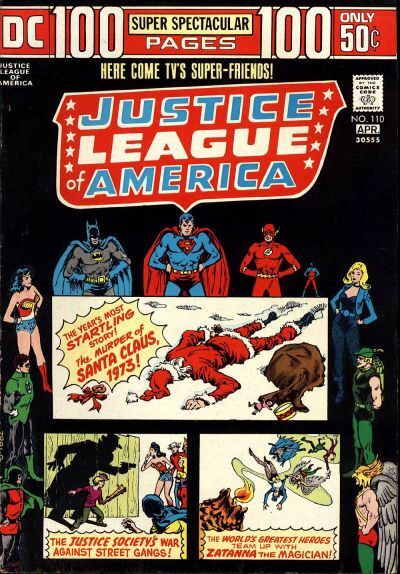 Justice League of America #110 (1974) – This is a multi-story issue. Look at the big rectangle in the middle of the cover. Right underneath the Man of Steel’s super crotch. This section advertises a story called “The Murder of Santa Claus 1973” (click the image to make it BIGGER). You read that right, THE MURDER OF SANTA CLAUS. In case the name of the story isn’t direct enough, the cover shows Santa’s dead body lying face down in the bloody snow. You gotta love the ’70s. 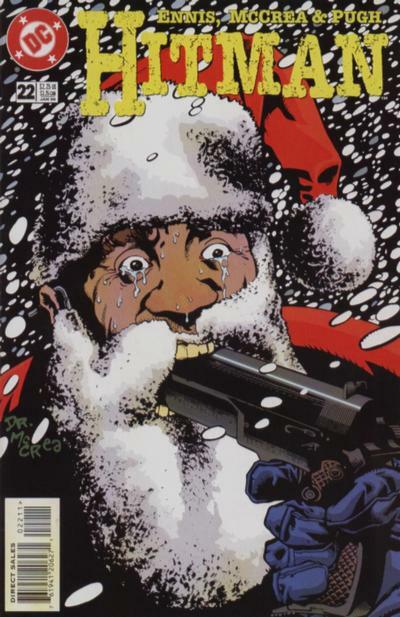 I seriously doubt you can find another comic book that would actually show the dead body of Santa Claus on the cover, especially now. Even the ultra violent Lobo special above just shows him bloody and beaten. 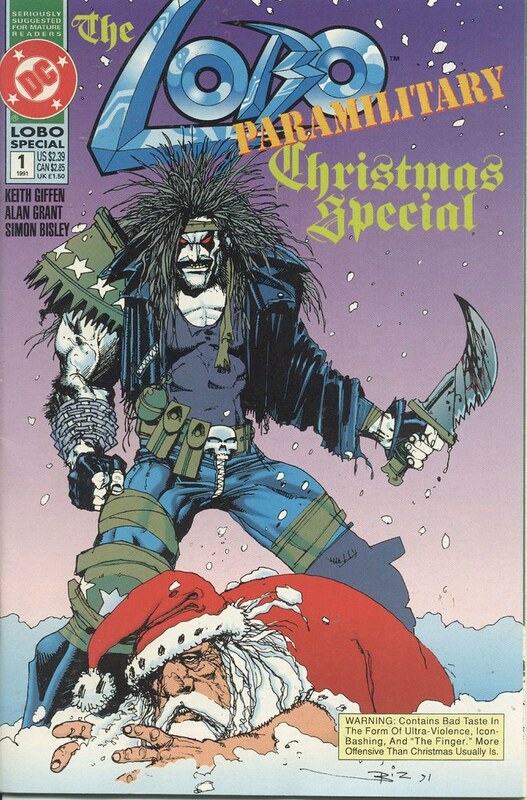 Well, those are some of the most graphic comic covers featuring violence against Santa Claus. Next, we flip the script and take a look at graphic comic book covers featuring Santa Claus actually doing the kicking of other people’s asses. It’s gonna be awesome. UPDATE! See Part II of this article here. 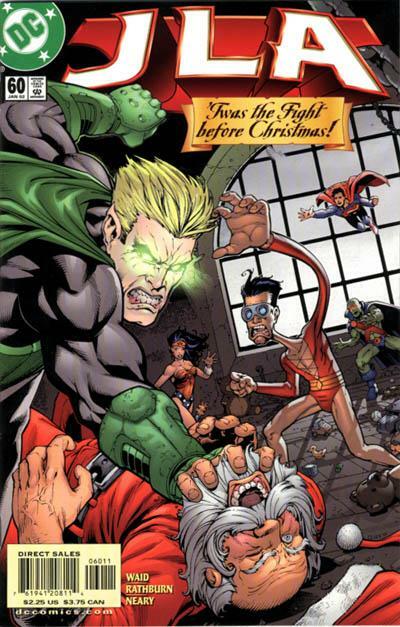 This entry was posted on December 15, 2009 at 8:00 am and is filed under Christmas, comic books, holiday, pop culture, Santa Claus with tags Christmas, comic books, holiday, pop culture, Santa Claus. You can follow any responses to this entry through the RSS 2.0 feed. You can skip to the end and leave a response. Pinging is currently not allowed. Hi from Ireland, very good post, deserves a Digg. Thank you, sir. Glad you liked it.